“Space, light and order. Those are the things that men need as much as some bread and a place to sleep”. Le Corbusier, 1920-1965. Le Corbusier stated that one of the basics of modern architecture was space empowerment. For the Swiss architect, architecture was just the conception of “a machine to live in”, a beautiful, warm and cosy atmosphere without limits, being able to make a very positive influence on its inhabitants’ way of living. Comfort, functionality, elegance, and above all, spaciousness. Le Corbusier’s perception and other examples of modern architecture in the 20th century, still live on today, through an architectural trend very much in fashion: the double height in architecture. 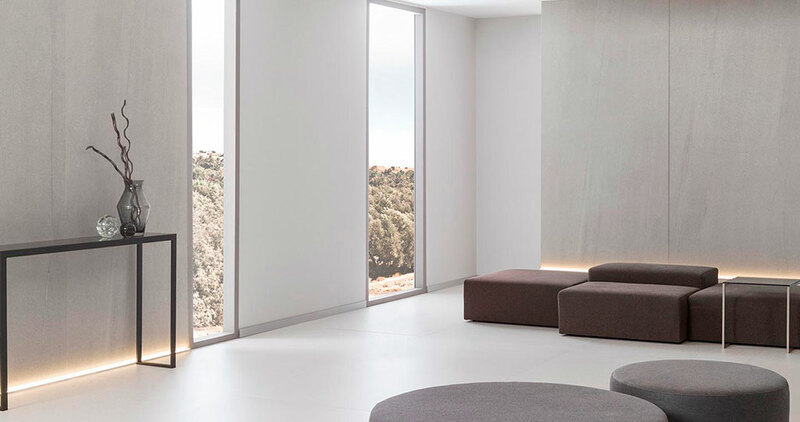 A building practice which can provide space with better ventilation and increased lighting, without forgetting about an enhanced feel of spaciousness. We are dealing with a trend that is used a lot in lofts and modern apartments mostly, but it is becoming increasingly more common in the construction of single-family homes. Double height: aesthetical and functional advantages regarding this 2017 trend. Apart from the functional advantages, the double height also provides architecture with aesthetical virtues. 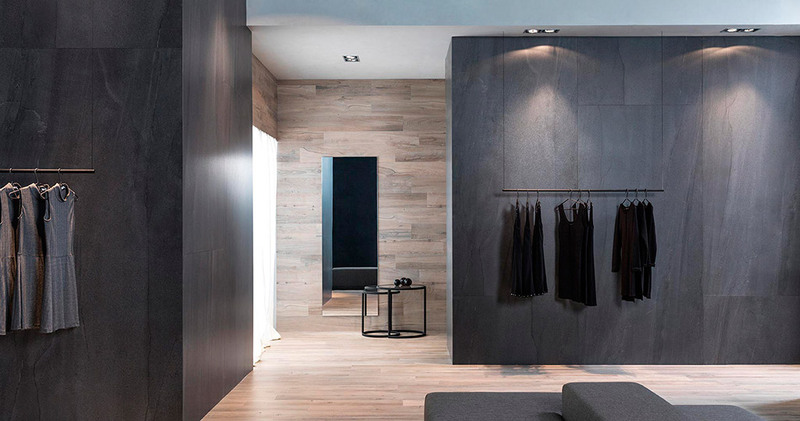 In addition to the uniqueness provided by the project, the double height make the limitations between rooms disappear, so that the first floor also takes part in life’s everyday pleasures, along with the lower floor. Therefore, the double height has become an icon in modernity, because of both its clear open personality and avant-garde character, as well as being because of the space wealth which it is able to provide. A wide serene space which has an impact on the theory which Le Corbusier upholds: to provide psychological well-being to those who enjoy this. Ranging from living rooms with upper access to a reading room, and libraries fitted with galleries where books are in reach, or rooms and unique offices characterised by ‘high’ ceilings. Whatever the architectural design and functionality provided to the space are, a double-height installation in a house turns out to be an original, exclusive and very unique practice. Double height is a technique which enables the creation of big spaces where defining a focus point that catches the eye is a must. It is in this point where textures and decoration elements are of great importance, since they are necessary for providing a unique and distinctive character. Additionally, through the double height in architecture, the big walls play a major role, becoming a unique canvas where one can be creative. This is the reason why it is vital to make the ideal choice for the covering, in other words, the one which provides the space with elegance and makes it become more exclusive and unprecedented. The large format is, for instance, a very suitable choice for these kinds of large walls. Its main advantage is that it allows for the minimising of the joints, and thanks to their multidirectional installation, this provide the composition with greater strength. 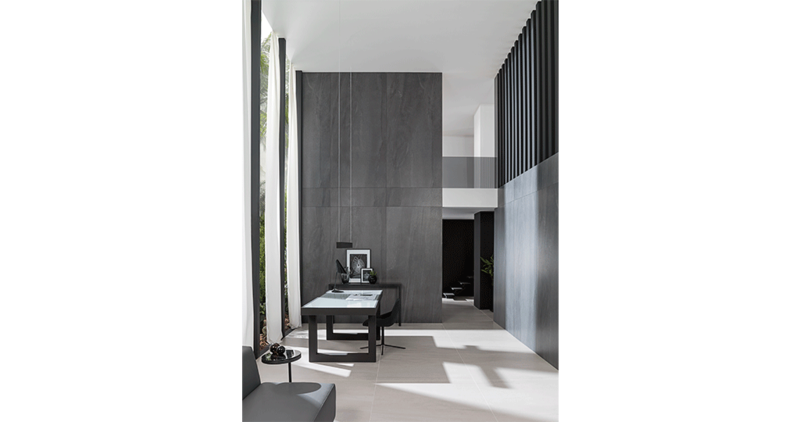 In this decorative style, and through its firm, Urbatek, the PORCELANOSA Grupo offers its XLight Premium Aged extra-slim porcelain tile, a range of luxury and high performance which is ideal for double-height spaces. 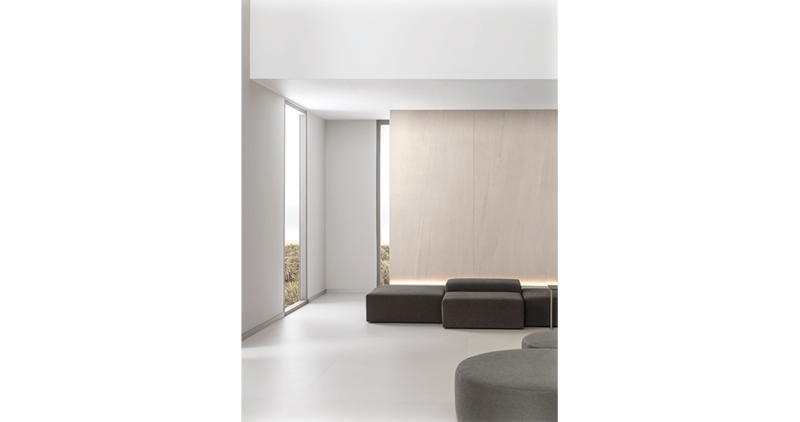 In line with the research and development of the XLight large-format porcelain with minimum thickness, Urbatek offers the XLight Premium Age range, a porcelain tile with a fine stone appearance. This unique design for interior design is perfect for infinite spaces that play a major role, as well as double heights, both in houses and contract projects and offices. 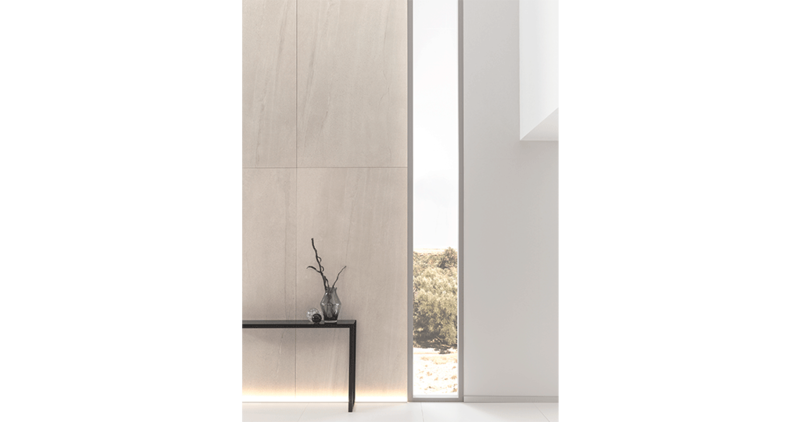 It is worth highlighting this porcelain tile because of the high number of combinations provided by the range in graphics in each tone, an excellent blend of classicism and innovation in porcelain tile versions. Additionally, because of its minimum thickness and large format, it results in being an easy installation in double heights, and what is more, it ensures quality, durability and easy maintenance. 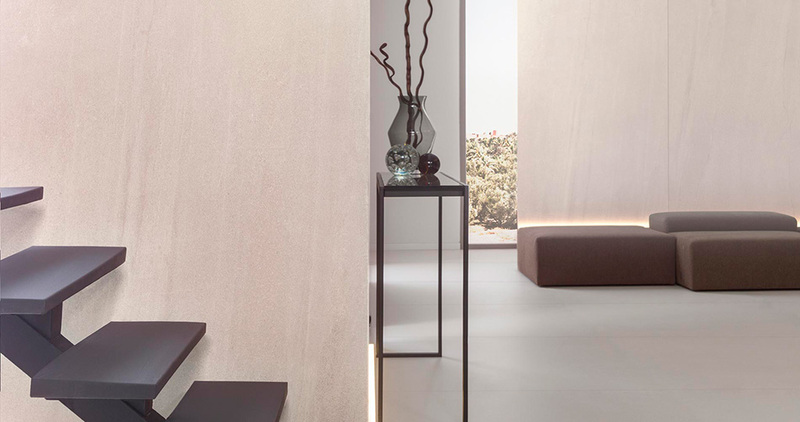 Because of its aesthetical high-luxury uniqueness, full of colour tones, shades and the spotless finish, this XLight Premium Age by Urbatek highlights the impressive walls as if they were huge stone blocks. Carefully studied combinations and the great care taken in the multidirectional cuts make the double-height in the area where they are installed play a leading role. 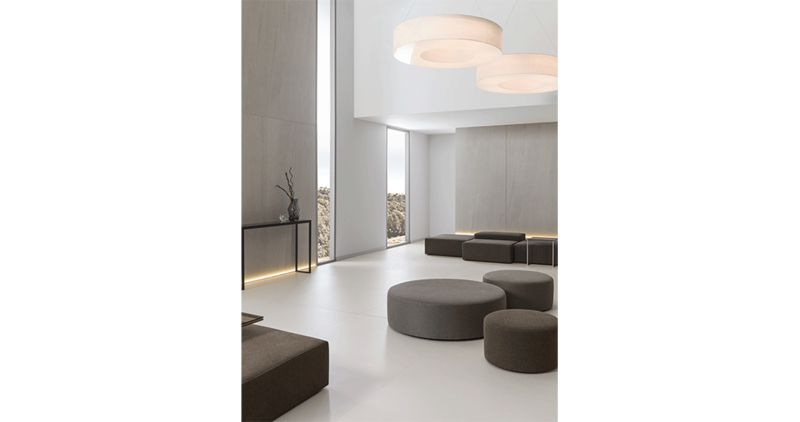 Its versatility goes hand in hand with its technical qualities, since it is a material which can be installed in both exterior and interior coverings and even in flooring. 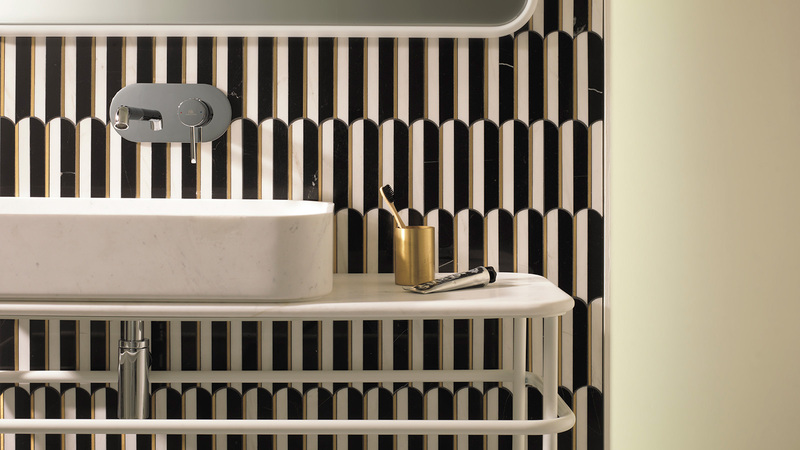 A delight for architecture with origin in the Premium material from the PORCELANOSA Grupo. With regard to finishes and versions, the XLight Premium Aged is available in two versions: Aged Clay and Aged Dark. 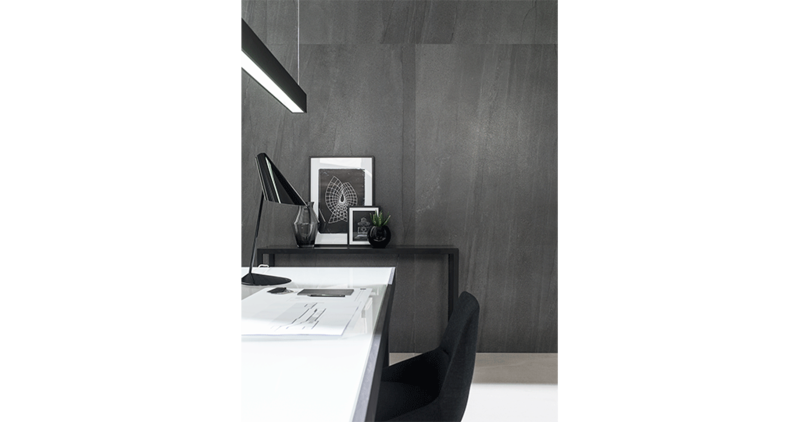 On one hand, Aged Clay is marble in a sandy grey colour with a uniform grainy background and some areas with darker banding; on the other hand, Aged Dark is a dark grey colour with grain predominance and sedimentary compositions which provide a veining by comparison. The formats, for their part, are 120x120cm with a 6mm minimum thickness; 120×250 cm with a 6mm.